← Benedict Cumberbatch and the #IceBucketChallenge! And He Does NOT Disappoint! 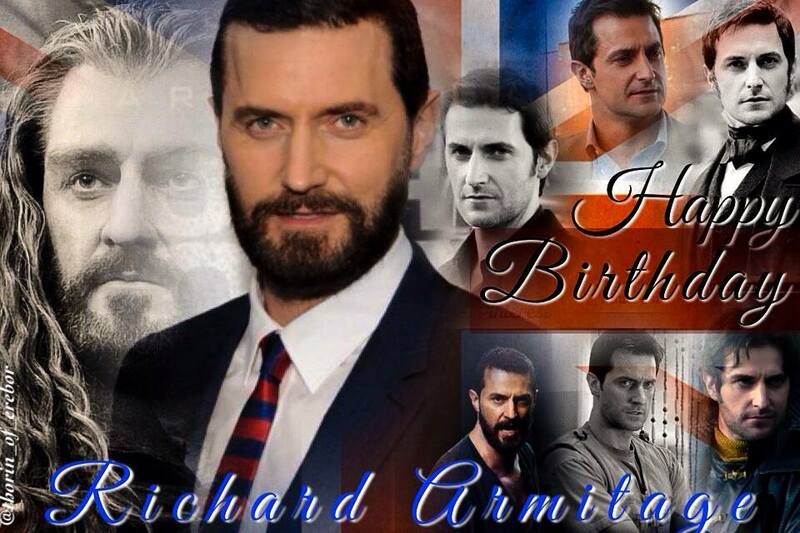 Well Lady Anglophile has been all aflutter since Richard Armitage heard the call of The Anglophile Channel‘s Ice Bucket Challenge, stepping up to the plate with his own tribute no less than 24 hours later! And it wasn’t just ANY ‘ol day that Mr. Armitage made his contribution to the global awareness campaign for ALS (Amyotrophic Lateral Sclerosis)….it was his birthday! So, after another sweat-inducing (for actor and fans alike) performance as John Proctor in The Crucible at The Old Vic Theatre in London, Armitage got cleaned up and changed (into a nice 3-piece Burberry suit, I might add!) and came around back to the stage door…where nightly a queue wraps around the building of fans awaiting the opportunity to meet and say hello to the actor who has just bewitched them for nearly 4 hours…and every night this gracious, dedicated actor spends whatever time it takes to make his way down the line of enthusiastic well wishers, signing autographs and posing for photos…until no fans remain. I’m not sure who else does that…but it’s impressive. On this particular night, however, the stage door attendees were rewarded for their own dedication and patience as they got to witness Armitage taking his turn at the Ice Bucket Challenge! And then his chosen charities: ALS, The Anthony Nolan Trust and Young Minds….he then sat down with great poise, taking in a deep breath (because we ALL know how he feels about being immersed in water…) and took it like the true English gentleman that he is. (We heard a bit of a shudder but then who wouldn’t in given London’s current temps.) Fans cheered and applauded a job well done! And then…Armitage turned around, wet suit and all…and met and greeted each of his admirers till no one remianed. Then…hopefully…the man got to go home and put his feet up or at least enjoy a nice birthday glass of Pinot Noir! Happy Birthday Mr. Armitage and Thank You for bringing global awareness to ALS! Lady Anglophile…Raising her glass to Armitage! 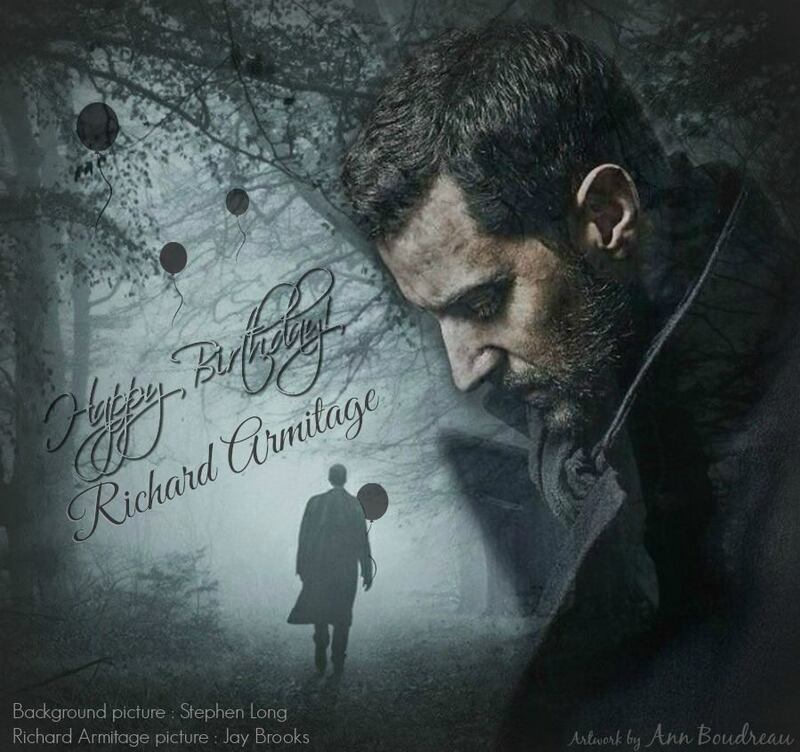 This entry was posted in Armitage Alerts!, Home Page Posts, Lady Anglophile Reviews & Other Bits and Bobs and tagged Ice Bucket Challenge, Richard Armitage. Bookmark the permalink. I have to say thank you Richard as well for being the man he is. How many do you know who would do what he does every night after performing nearly 4 hrs and then to do it that night soaking wet, well we all knew he was a special man and this just affirms that feeling. love this man. so generous and downright decent, and absolutely marvellous human being.